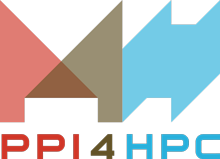 5 Jul 2017 Barcelona - European HPC centres have officially opened a market consultation for the purchase of HPC systems as part of the Public Procurement of Innovative Solutions for High-Performance Computing (PPI4HPC) project. This procurement takes place within the PPI4HPC project funded by the European Commission under the call EINFRA-21-2017. It involves four public procurers - BSC, CINECA, FZJ/JSC and GENCI - located in four different countries - Spain, Italy, Germany and France - working together in a joint procurement. The aim is for each public procurer to buy an innovative, high-performance supercomputer and/or innovative high-performance storage system that will be integrated into their computing centre. These systems are expected to be deployed in the 2019-2021 timeframe. In combination, these systems are expected to power a wide range of applications, including traditional HPC applications, HPDA and AI. They are also expected to be used for common innovation topics. Science and engineering applications in Europe within PRACE, the pan-European HPC infrastructure, by providing more computing resources. R&I on HPC architectures and technologies in Europe, strengthened by this joint procurement and the coordinated deployment of supercomputers incorporating innovative solutions. This will require strong relationships and possibly collaboration between the procurers and the suppliers for large-scale testing, tuning and maturation. Greater influence and more impact on common topics of innovation and on the design of HPC solutions which will meet the needs of scientists and engineers in Europe by a coordinated approach. The public procurers involved will organize an Open Dialogue Event (ODE) whose aim is to inform all interested suppliers about their expectations and plans, as well as to gather feedback from the market. The ODE will take place on 6 September 2017 in Brussels. All interested suppliers and parties are invited to participate in this event - with a maximum of two representatives per company. Further details will be provided via the PPI4HPC website.